Global Market Insights, a market research firm, has predicted in a new report that the thermal imaging market will grow to over $10 billion by 2024. Interestingly, a good chunk of this boom is being driven by personal thermal imaging devices. In a way, the growth of the thermal imaging market is following roughly the same trajectory that drones have taken in the last couple of years of rapid growth. At first, drones were mostly commercial gadgets. But it is their consumerization that has sent the drone market soaring. The same thing is happening to thermal cameras and devices. As non-commercial consumers find new ways to use this technology at home, in DIY projects or recreationally, companies are responding by coming up with innovative, affordable and consumer-friendly thermal imaging devices. Many companies still heavily rely on sophisticated thermal imaging cameras for a wide variety of applications from infrastructure inspection to product development. But thermal imaging is quickly spreading beyond these enterprise confines. The new report by GMI explains some of the new personal applications of thermal imaging. One of the most popular is home security. Security cameras nowadays come with thermal imaging integrated. This allows them not only to provide visual monitoring but also to detect heat signatures from people or animals. This improves security monitoring and reduces the chances of false alarms. 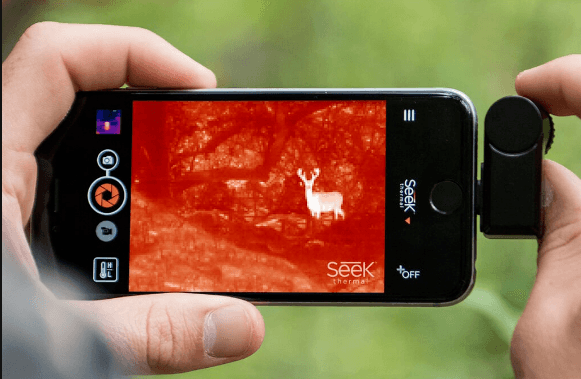 People are also taking thermal cameras with them when hunting. They make it easier to spot animals especially through thick brushes and at night. Even documentary makers can benefit from handheld thermal cameras to spot wildlife at night in total darkness. Thermal cameras are also becoming popular tools for DIY ers for home maintenance and repair. A good quality thermal camera can be used to monitor the performance of an air conditioner, study ceiling stains, diagnose insulation problems and track down plumbing leaks. You can even use an infrared camera to find an overloaded circuit. Even in the traditional commercial sector, companies and governments are finding new ways to apply thermal imaging. 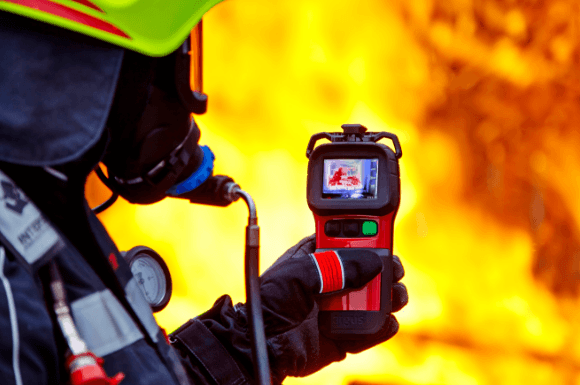 Both handheld and aerial thermal cameras are now commonly used by firefighters to help with rescue operations to better monitor the fire for a smarter response. Firefighters carry handheld units while aerial units can be mounted onto a crane or a drone. Talking about drones, more and more companies are using thermal camera-equipped drones for infrastructure inspections, research and agriculture. Commercial drones like DJI’s Matrice 200 and 600 Pro offer an easy way to mount a custom thermal imaging camera for different types of projects. 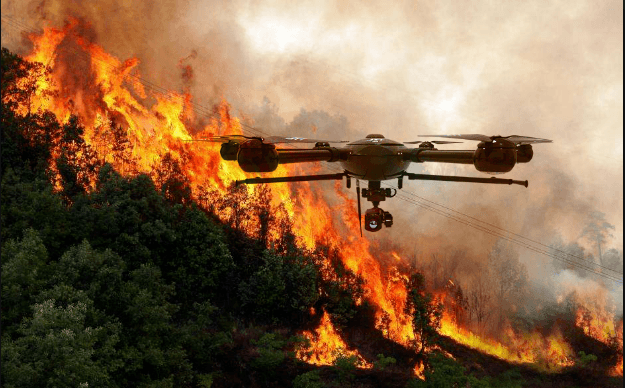 Even search and rescue drones now frequently use mounted thermal cameras that come in handy when working at night or in wildfires. Another interesting area where thermal imaging is coming into its own is healthcare. The demand across healthcare & life sciences applications in the thermal imaging market is expected to grow at a rapid pace due to the provision of advanced diagnostic and visualisations offered by such solutions. 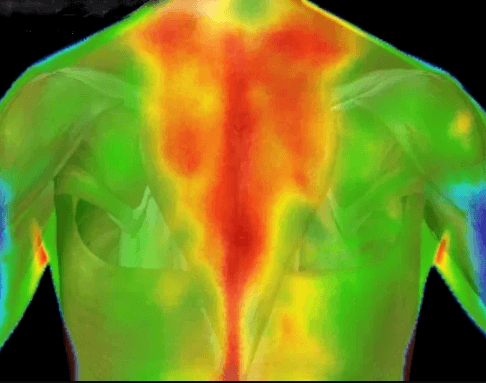 Doctors are now using thermal imaging to check heat patterns across your body in a process called thermography. These heat patterns can be used to diagnose different conditions such as blood flow problems and breast cancer. A thermal camera can also be used to diagnose the flu. In the recent Ebola outbreak, medical professionals used thermal imaging devices to diagnose subjects’ body temperatures from a distance. In sports medicine, thermal cameras are used to diagnose muscle strains, assess tissue damage and detect bleeding points. Law enforcement agencies are also increasingly turning to thermal cameras in their work. Some of the applications include security monitoring, defence and border control. These agencies will contribute significantly to the expected market growth in the thermal imaging sector. One of the interesting nuggets from the report summary (the full report is available for purchase) is that handheld/portable thermal cameras made up over 50% of the revenue in the industry in 2017. Companies like FLIR Systems and SEEK Thermal have responded to growing consumer interest by creating compact and affordable devices that are easy to use. If you look at our reviews of the leading IR cameras, you’ll notice that they are a mixture of traditional, sophisticated devices designed for pros and cheaper and smaller cameras for amateurs and casual users. Some thermal cameras like the SEEK CompactPro, FLIR ONE and SEEK Compact XR can be plugged into a smartphone. Expect an even wider variety of devices as the market continues to grow. The report predicts that global shipments of thermal imaging devices will increase by 13% between 2018 and 2024.